Debt is a part of most people’s financial lives. What makes repaying it significant is its effect on your credit score, personal credibility and future loan applications. 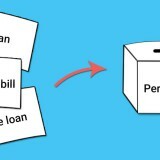 Any time you apply for a loan, banks offer you a repayment plan. You can choose to repay it by paying regular EMI, using bullet repayment plan or pre-pay it. The regular, amortised repayment plan generates EMI to be paid each month, until the end of tenure. It is different than bullet payment and pre-payment. Under the bullet repayment plan, you can pay the entire loan amount at the end of the tenure. Bullet payment is also called balloon payment and is starkly different than the regular repayment method that involves paying EMI (interest + principle) each month till the end of loan tenure. With the bullet plan, you pay the entire principle, lump sum, at the end of the tenure. The interest can be a part of the amount paid at the end of the tenure or it can be paid all through the tenure with only the principle paid at the end. 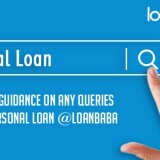 The bullet loan is applicable only on loan amount of two lakhs and less. This type of loan is ideal for those with limited cash flow in the near future. For those looking to be free of the loan sooner, pre-paying it is the best option. While it sounds as easy as digging into a piece of rich truffle cake, in reality, it requires tremendous amount of planning, dedication and sacrifice. One of the main advantages of pre-paying your loan is that you pay lesser interest amount. This is because the loan tenure reduces whenever you pre-pay any amount. Also, since longer tenure requires you to pay more interest, sometimes, the interest amount you pay is more than the value commodity purchased. Thus, you save your money. Whether you are able to enjoy debt-free life sooner depends on your ability to delay certain monetary indulgences and on your loan agreement with the bank. Some banks allow pre-payment after completing six to 12 months of tenure and some allow pre-payment with penalty. But, with some lending institutes, there might be no option of pre-payment in the contract. It would be wise to read through your contracts and check about pre-payment option before signing the agreement. Reduce your expenses: This is the first and foremost condition to increase your savings towards pre-payment. Easier said than done, it is essential that you be honest about what you need and what you want. If not significant, even marginal reductions in your monthly expenses can contribute towards your saving goals. Liquidate investments: We invest not only to increase money, but also, so that money can be used during our hour of need. Liquidate investments for your pre-payment now and you can begin anew free and uncompromised. 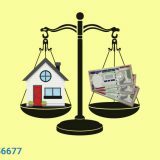 Pre-planning for pre-payment: Make up your mind to put aside the money you are expecting in the near future towards your pre-payment. Once you are mentally prepared, it is not all that difficult. Increments and bonuses go towards pre-payment: If you get promoted (congratulations!) during your loan tenure, it would be a wise decision to direct the additional amount towards your pre-payment. Same goes for bonuses. Once you are free from debt you can enjoy the upgraded lifestyle! Pre-pay early in the tenure: It makes sense to pre-pay earlier than later in the tenure so you won’t pay more interest.